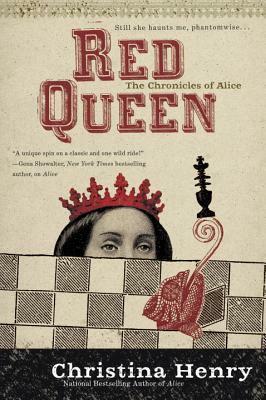 Red Queen is the sequel to Alice, Christina Henry’s dark and twisted novel reimagining of the characters and worlds of Alice’s Adventures in Wonderland. Considered to be both a retelling as well as a continuation, the first book impressed me with its portrayal of a whole different side of Lewis Carroll’s classic, and I’m pleased to report this follow-up is a very worthy conclusion to The Chronicles of Alice duology. After spending ten years in a hospital ward for the insane, Alice is finally free. Alongside her fellow prisoner Hatcher, they’d made their way through the Old City, escaping the evil clutches of the Magician crime lords. But now they’ve come to the outskirts, a land that is supposed to be full of lushness and beauty, only to find that everything—including their hopes—has been burned to ash. But Hatcher still has to find his daughter Jenny, so the two of them decide to press on towards the mountains. Passing through the forest though, Alice and Hatcher are waylaid by many obstacles—from a murderous goblin to a trio of monstrous giants. Worse, they eventually become separated, and Alice stumbles alone upon a village full of terrified townsfolk, who tell her about the evil queen responsible for all the bad things in this part of the land. Determined to help the villagers and save her beloved Hatcher, Alice decides to harness her newfound magic and head up the mountain, where she will confront this mysterious queen and break her wicked hold on the forest. While darkness still permeates everything about Red Queen, the book also departs quite a bit from Alice. In spite of this, certain factors actually made me enjoy this sequel slightly more than its predecessor. First of all, it’s clear from the start that Red Queen lacks some of the in-your-face horror which was right at the surface of Alice, and overall the story is also less emotionally traumatic and disturbing. Don’t get me wrong, for I love the horror genre and all its elements, but one of my chief complaints about the first book was its extreme brutal nature and the hollowing effect it had on the characters and story. I likened this to a massive black hole sucking the life out of everything, leaving me feeling ambivalent and distant towards Alice and Hatcher. Red Queen, on the other hand, is still plenty grim and dreadful, but at least there’s room enough to let me care about the protagonists and their predicaments. Another major difference is that Red Queen is a book mainly about Alice. Contrast that to book one, which featured a lot more of Hatcher, who played the role of her protector and was always there by her side offering his physical and mental support. However, the two of them spend much of the time apart in this sequel, and it’s Alice who does most of the rescuing, rather than the other way around. I truly enjoyed the way she stepped up in this story, taking the lead on facing off against the villain, never letting her doubts get in the way of what is right. Even after all the terrible things that have been done to her, Alice still sees the good in the world, and it’s this goodness in her that ultimately saves her life. On the whole, I also gained a better understanding of Alice and Hatcher’s relationship. It’s not romance, exactly. The two of them care for each other deeply, there’s no doubt about that. But their love is one born of pain and suffering, of surviving through terrors together. The bond between them is complex, and—paradoxically and ironically, perhaps—their separation in this book is what finally allows this intimacy to be explored. Recent years have seen a marked increase in number of classics and fairy tale retellings, but I believe the uniqueness of Alice and now its sequel Red Queen means that these books will always stand out among the rest. This duology is certainly not for the faint of heart, but if you’re inclined towards the dark fantasy or horror genres I would definitely recommend The Chronicles of Alice, and even more so if you enjoy bleak and darkly imaginative retellings. Christina Henry has transformed this world and reshaped it to her own bold and unflinching vision. I’m really glad to have gone down this wonderfully strange and fantastic rabbit hole. Did you miss Alice? Well, not to worry, because this could be your chance to win the first book of The Chronicles of Alice duology! Now that Red Queen is out, there’s no better time to catch up. 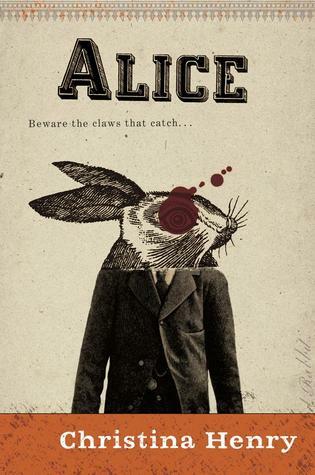 With thanks to the publisher, The BiblioSanctum has one print copy of Alice up for grabs. With apologies to international readers, due to publisher copy right reasons this giveaway is US only. To enter, all you have to do is send an email to bibliosanctum@gmail.com with your Name and valid Mailing Address using the subject line “ALICE” by 11:59pm Eastern time on Sunday, July 24, 2016. Only one entry per household, please. Must be at least 18 years old to enter. The winner will be randomly selected when the giveaway ends and then be notified by email. All information will only be used for the purposes of contacting the winner and sending them their prize. Once the giveaway ends all entry emails will be deleted. Oh yes I want to try this series! I love her UF series (even if I need to finish it) and heard great things about the first book. One of my friend was disappointed in this sequel but I’m happy to see it’s not the case for you! I’m the opposite, I really liked this Alice retelling and now I have to check out her UF, lol! Interesting…. I was not aware of this retelling of the classic tale, and I find myself very, very intrigued. Thank you for pointing this out! It’s interesting! In a time where retellings are a dime a dozen, I think this one really stands out. Another reader who praises her UF! Now I really have to check it out.